Happy Thanksgiving weekend! We had a wonderful time eating, drinking and getting stuffed with our family and friends. 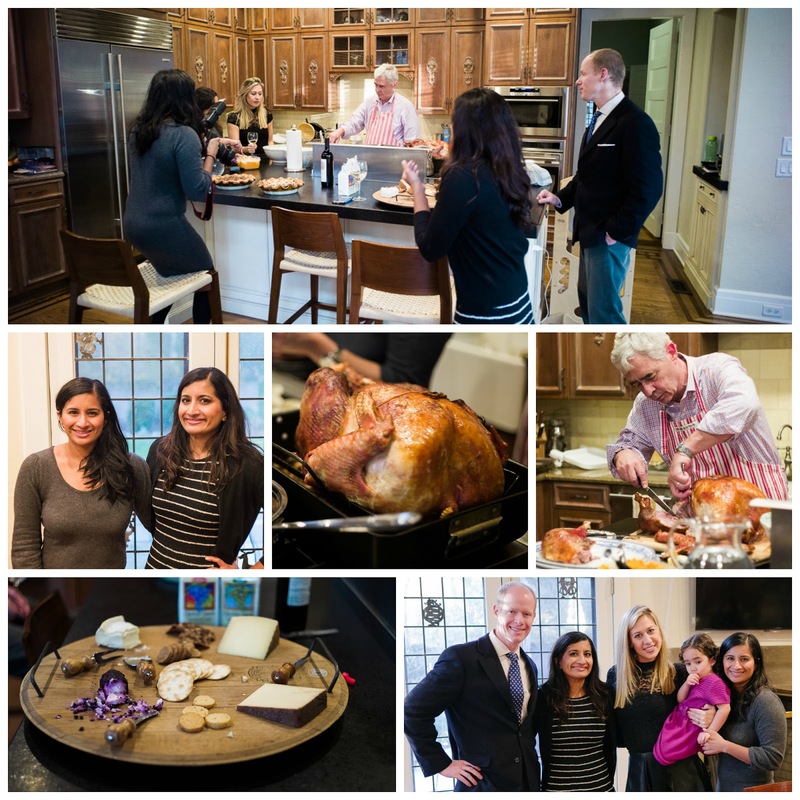 Our sister, Shruthi, and brother-in-law, Brian, host Thanksgiving every year. 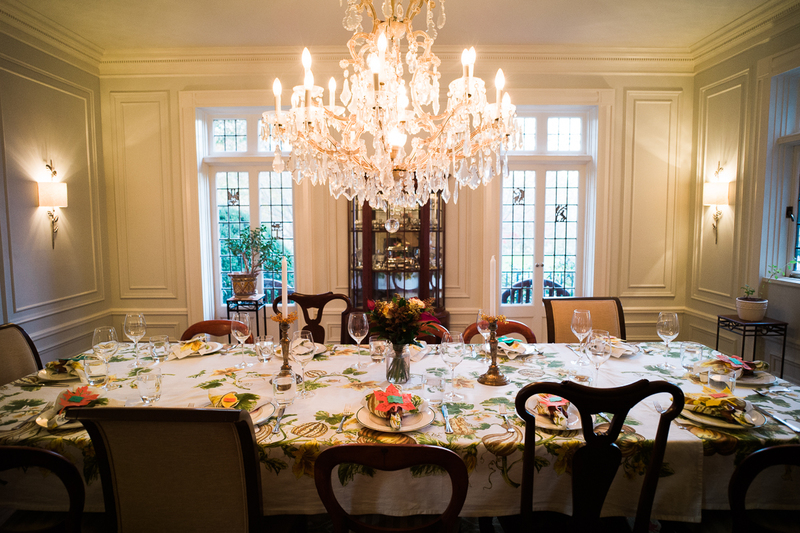 This year, our party was so large that we had a second table and a 25 pound turkey! 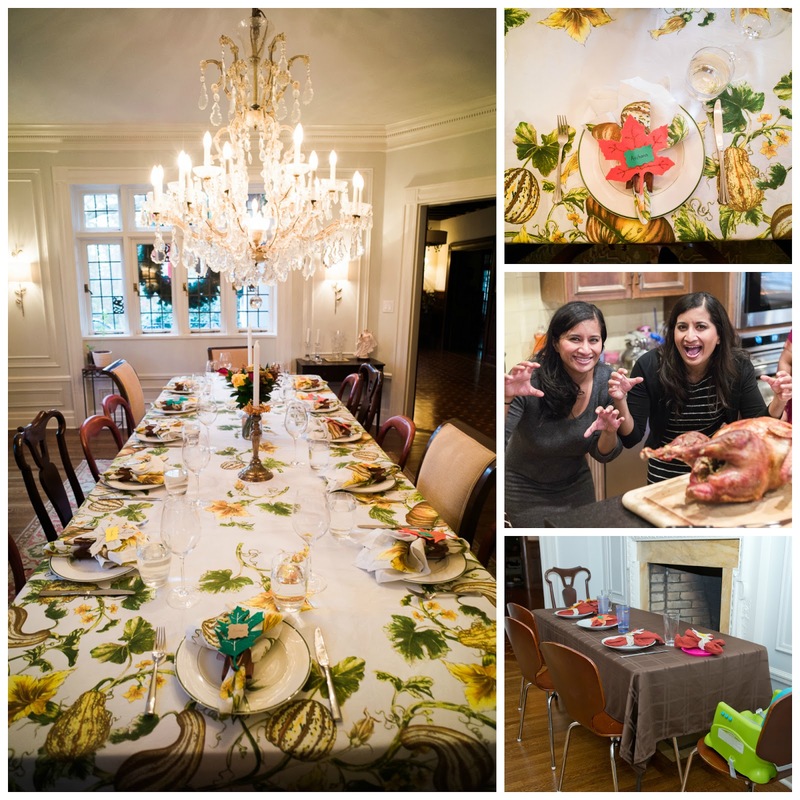 Special thanks to our friend, Ingrid, for sharing her photos capturing our lovely Thanksgiving. We began our meal with a delicious cheese plate, filled with brie, manchego, gruyere and blueberry goat cheese and red and white wine crackers. Our brother-in-law, Brian, is an AMAZING chef. We look forward to his turkey, stuffing, mashed and sweet potatoes, brussels sprouts and cranberry sauce every Thanksgiving. This year, we feasted on a turkey, which was almost the same size as our 2 year old niece, Keira. For table decorations, we used Williams Sonoma’s botanical pumpkin and gourd tablecloths and napkins and Crate and Barrel’s wooden napkin rings. We displayed a beautiful floral bouquet with brown calla lilies, yellow roses, brown solidago and green leaves. Dylan and Kanchana created adorable leaf place cards out of felt. 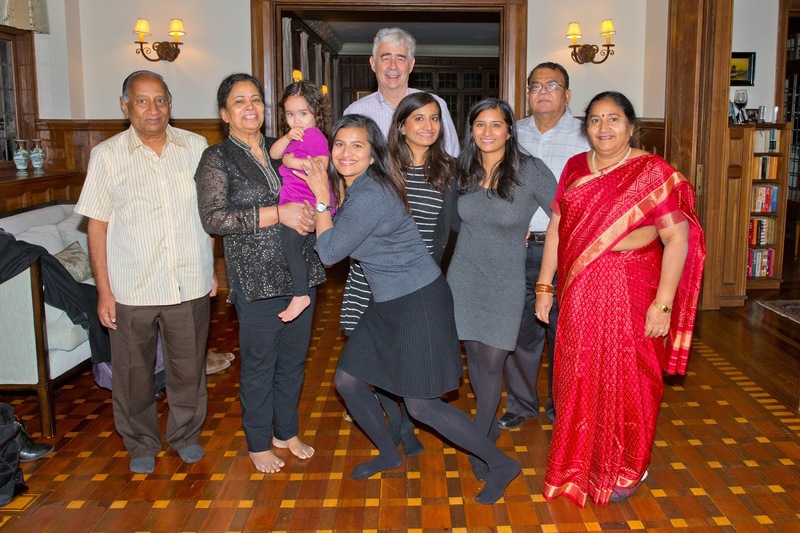 Archana ALWAYS handles the dessert for every holiday dinner. 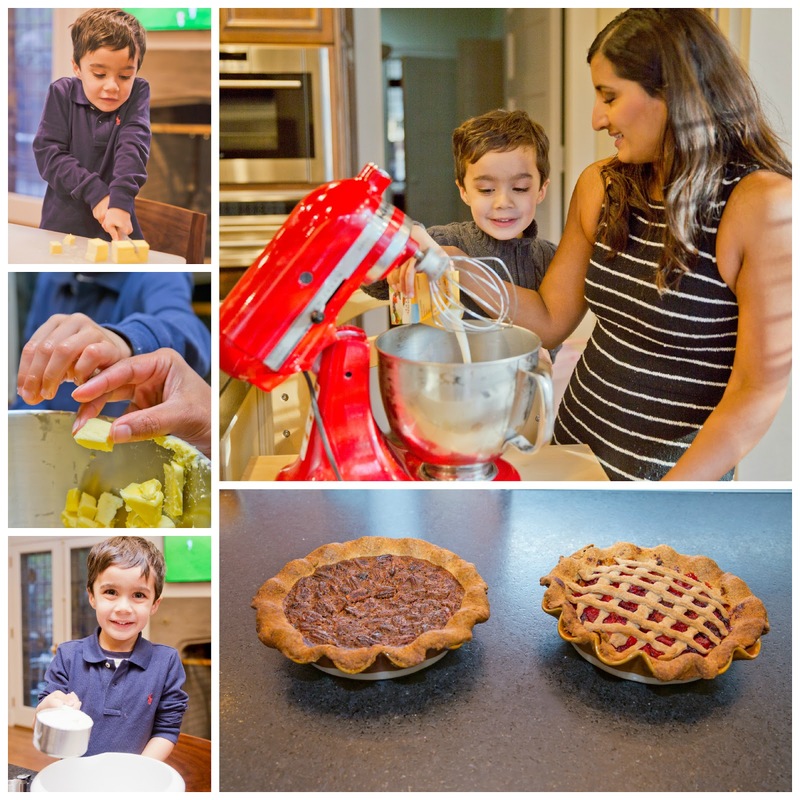 Her 4-year old sous-chef, Dylan, helped her make the pecan and cran-apple pies this Thanksgiving. 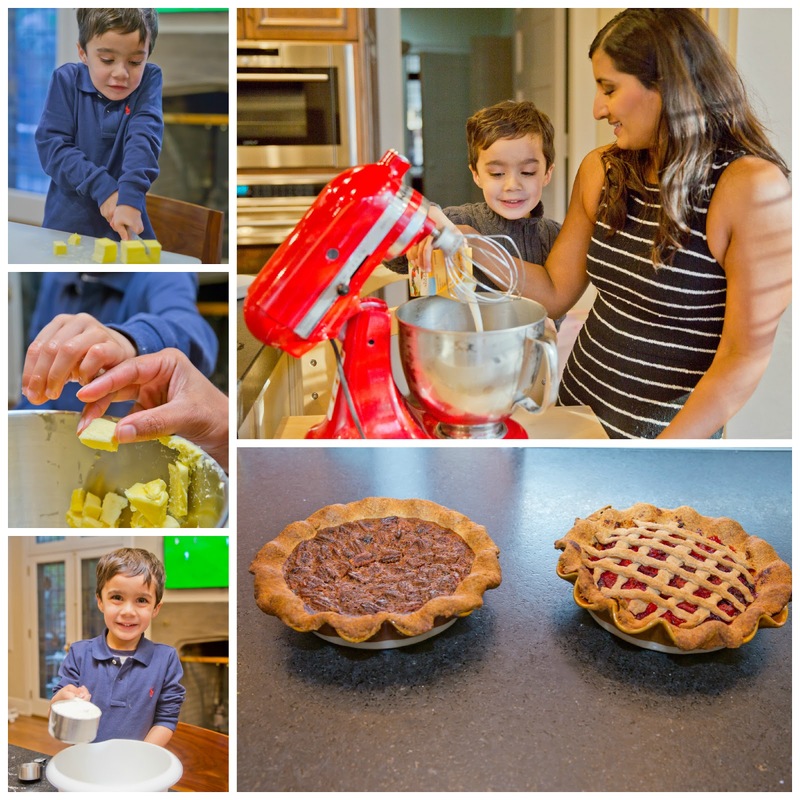 He cut butter for the pie crusts, cracked eggs with an egg cracker, measured ingredients, rolled the pie crusts and made the pie fillings and ice cream. The trick to PERFECT pie crust is: cut the butter into small pieces and freeze the butter for an hour. Then add dry ingredients and ice cold water. The pecan pie was a repeat request from last year. 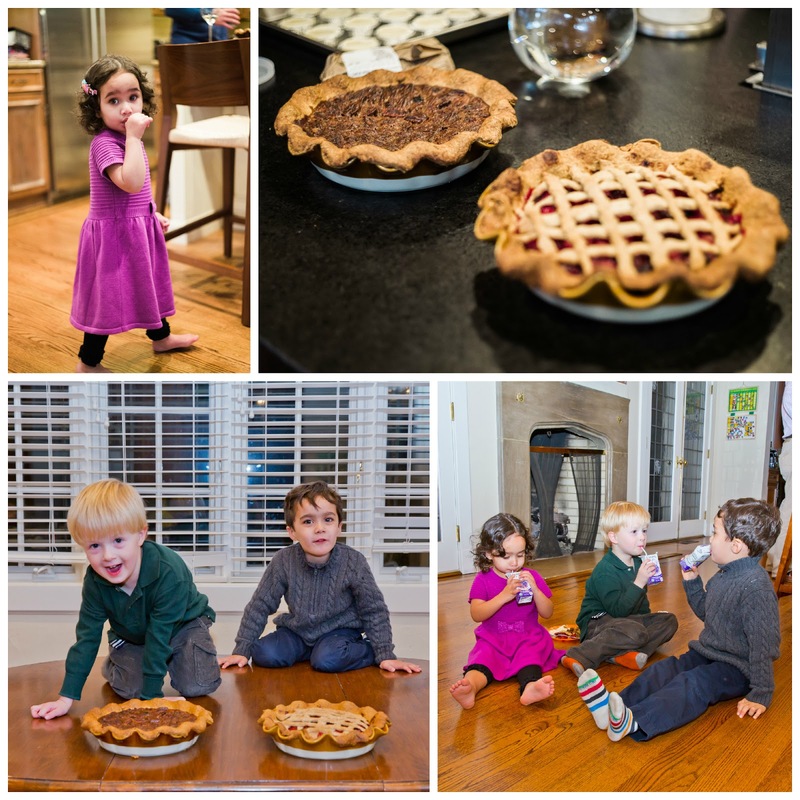 Rather than making last year’s pumpkin pie, Archana baked a cran-apple pie. The fresh cranberries gave this pie a rich burgundy color and it paired perfectly with the Granny Smith apples. We added a lattice pattern to make this pie look different from the pecan pie. Happy Thanksgiving and cheers to the start of holiday season!